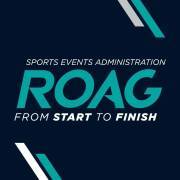 ROAG (Race Organisers Admin Group) is an event administration system. ROAG's primary objective is to simplify and streamline the administration of minority sport events in South Africa. ROAG provides both sportspeople and events with a unified race admin portalthrough an online data management system.